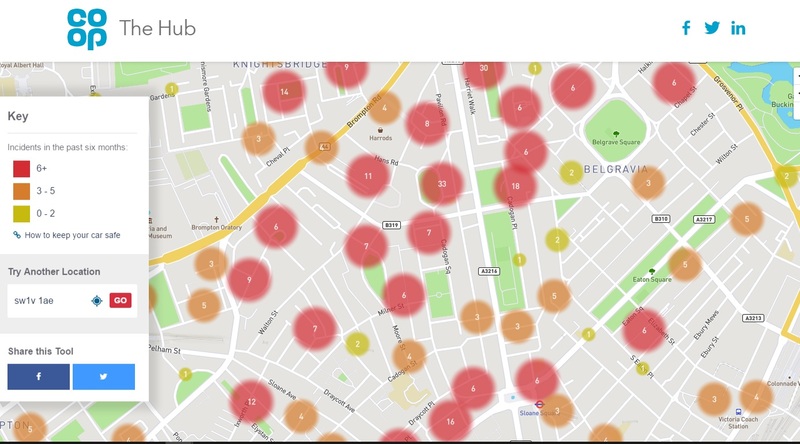 Co-op Insurance has built the map to help users be more aware of where they park their cars. 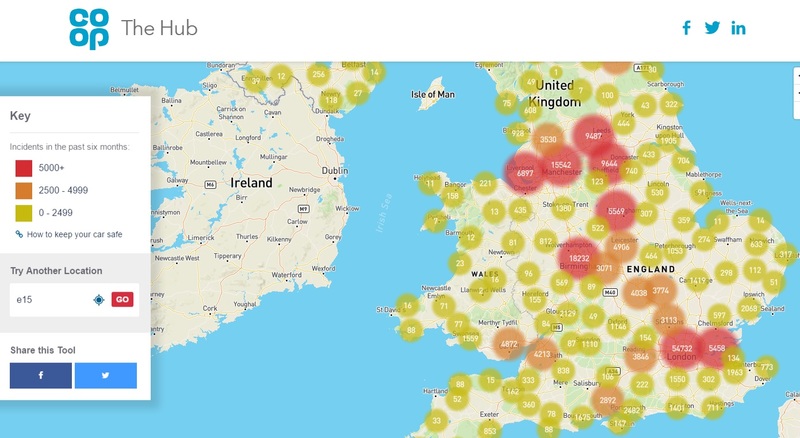 An insurance company has created a new interactive map that tells people about the car crime rate close to them, aiming to give users better insight into where to park their car. Co-op Insurance has built the map using crime data published by the Home Office, which covers the period from November 2016 to April 2017 and enables users to enter their postcode and see recent vehicle crime nearby. The colour-coded map then plots recent crimes, with patches of high crime marked in red, medium in orange and down to yellow for spots with two or fewer reported incidents. London and other major cities were perhaps unsurprisingly the areas with the most reported incidents in the last six months. The interactive map also contains a help section on how to keep a car safe if parked on a drive, the road or in a car park. “While vehicles and their technology systems have become smarter over the years, vehicle crime continues to be one of the most well reported instances of police recorded crime in the UK,” Co-op Insurance said. Read more: Would you let a robot park your car at the airport?